Do you have a LinkedIn company page? Are you using it to promote your business? Does your sales or management staff use their personal account to network and find sales leads? 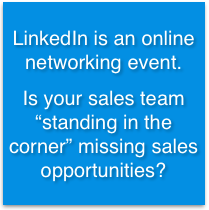 LinkedIn is a virtual networking event. You can go there to meet people, find prospects, tell your story and promote yourself and your business. 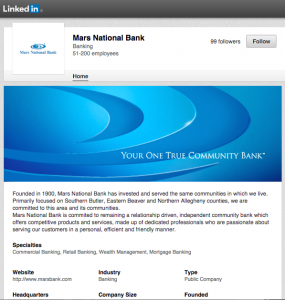 While LinkedIn accounts are personal, companies can also have a page. If you don’t, this is a missed opportunity to promote your business. We will set up, or reset your company page, updating graphics and description. Then, we’ll work with you to develop a content plan to keep your page fresh and promoting your business. We’ll give you great ideas to interest people to follow your page. We can teach you how to update the page from the plan, or can post for you on a regular (weekly) basis. We will also put together a strategy for your management team and sales staff to use LinkedIn to promote the business and find leads. We will train your team on how to set up their page, best ways to keep it fresh, and how to promote the news on the company page. Best of all, we’ll show them how to use LinkedIn to find leads, contact prospects even if they are not connected on LinkedIn, and more. Contact us today for more information. We can assess your LinkedIn presence and provide a cost for plan, execution and staff training. And don’t forget to find us on LinkedIn!